“Feeding Tube Awareness Week has a special place in our hearts. Our special little boy, Jake, lives with a feeding tube into the stomach to provide nutrition, due to his body struggling to absorb enough calories to grow sufficiently. “He was born with a genetic disorder called Hirschsprungs Disease where during the first few weeks of pregnancy, the bowels fail to develop properly resulting in all his large bowel and part of his small bowel being removed, leaving him with an ileostomy and stoma bag. Fast forward 3 years, several long stays at ‘Hotel Heath’ as my husband calls it and after infections, a failed pull through attempt, and multiple period of TPN (total parental nutrition given intravenously) Jake was left not wanting to eat much at all and what he did eat his body couldn’t absorb sufficiently. 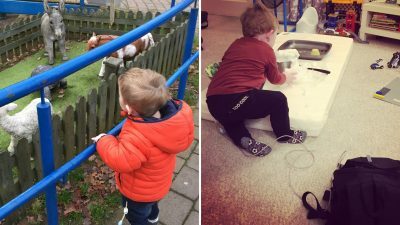 “I remember it like it was yesterday when we were sat in the play room on Island Ward and told Jake needed a gastrostomy to fit him with a feeding tube. We had tried everything to get him to eat. The play therapists were brilliant with messy play and our dietitian was so supportive and dedicated, but we knew deep down we had to try something new despite having to put our boy through another surgery which potential may not work. Rachel will be supporting the hospital where Jake will continue to receive care through taking part in our Great Welsh Walk this May. For more information on how you can get involved, visit our event page here. 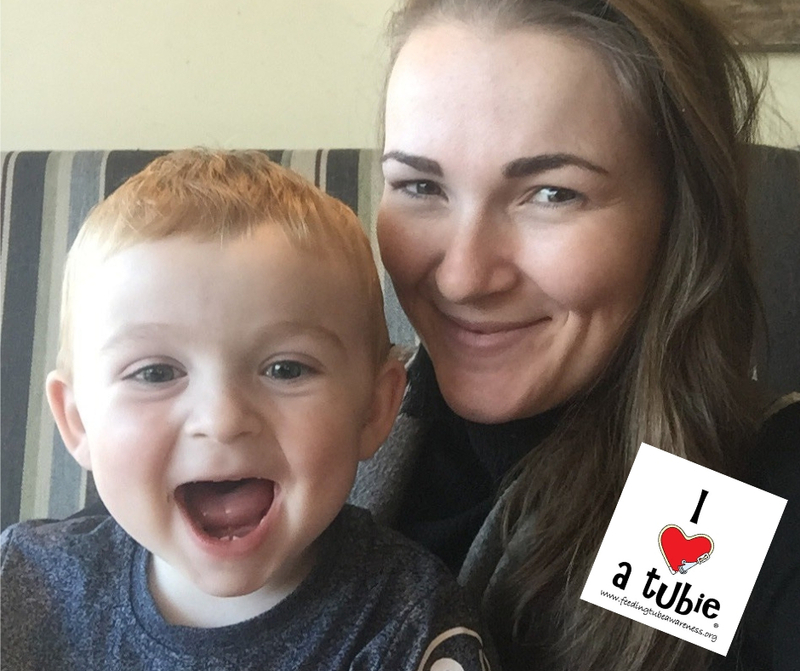 “Rachel also has an account on Instagram called adventuresofmummumandjake where she shares play activities to help encourage eating and creativity. She also hopes that through the page she can help normalise living with a stoma bag and feeding tube.